If he's referring to Markov then why the "welcome *back*"? Didn't Markov just get married? And neck in Russia, too. Traditionally a honeymoon would be a full month and he's not going to be talking contract. 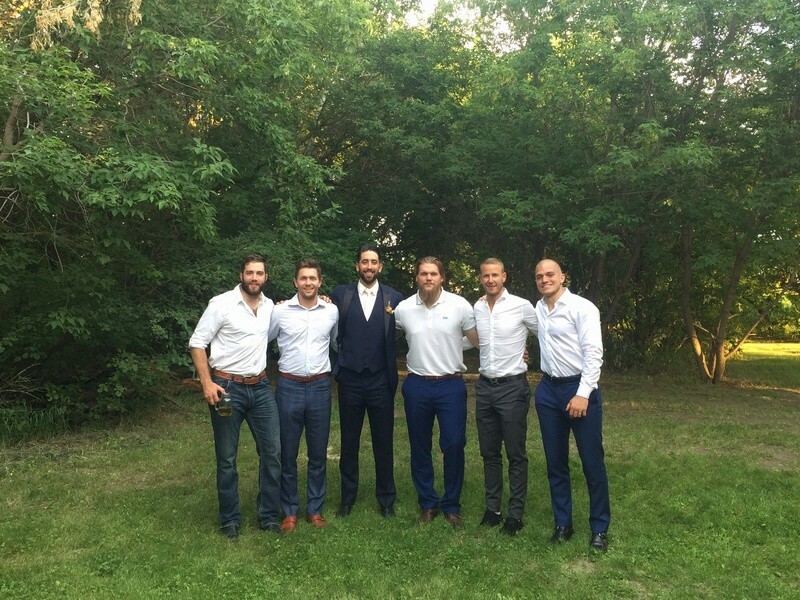 Speaking of getting married, there was a picture floating around from Cowen's wedding. Gryba, Fisher, Lehner, Boro and Regin were all in the picture. Lehner looked positively fat. If he's back to his old habits he's not going to last very long before he's injured or benched. Fisher was not in the picture. Zack Smith was there. Yes, sorry about that. Point really was about Fat Lehner. That's not fat at all lol. Not sure what you're talking about. Most hockey players are not lean anyway, go check out the SI body shoot of the USA girls. tim1_2 wrote: Fisher was not in the picture. Zack Smith was there. Did cowen land a try out anywhere? That's what he looked like when they told him he cane to camp out of shape. He was much leaner next time around, but now it looks like he's back to his eating habits. Fat Lehner gets a 1 year, $4M contract in Buffalo. tim1_2 wrote: Fat Lehner gets a 1 year, $4M contract in Buffalo. Wow, 1 year, that's a bit of a message. DJ Z-Bad gets 5 years at $5.35 per. I guess that's why we traded him.